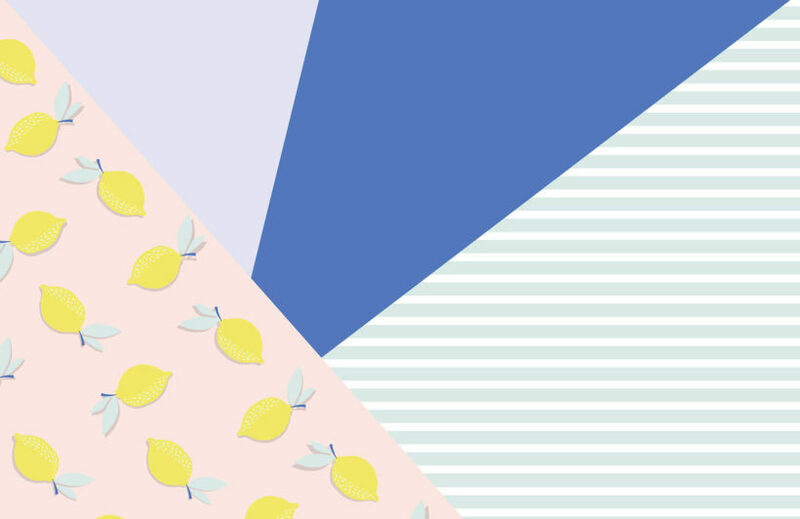 Our Lil Lemons Club Tropicana Wall Mural is a refreshing wall covering that brings stylish Summer vibes into your home. 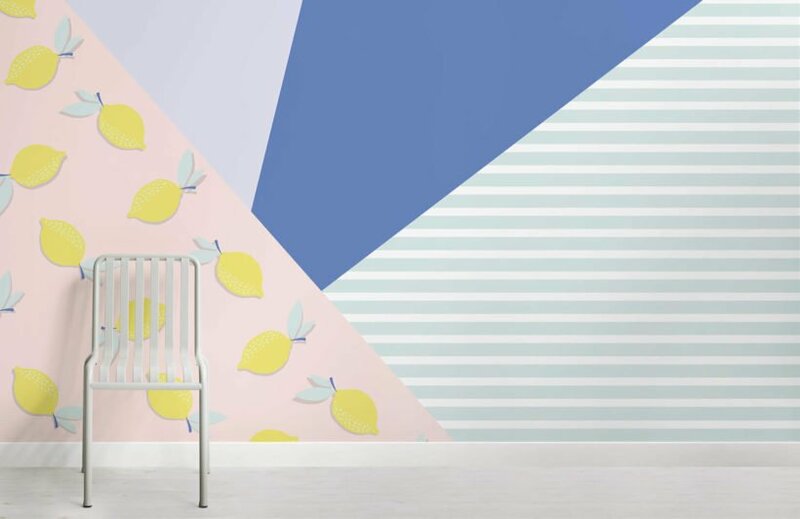 This mural features a dreamy prism design in block colour blues, beach-hut stripes and a zesty yellow lemon motif against a pale neutral background. 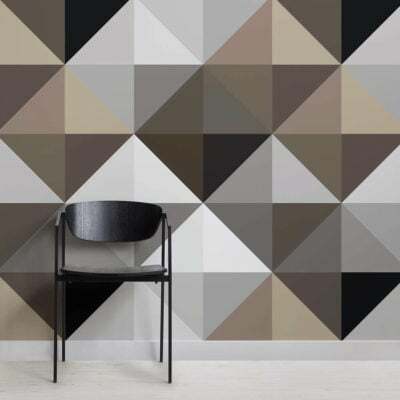 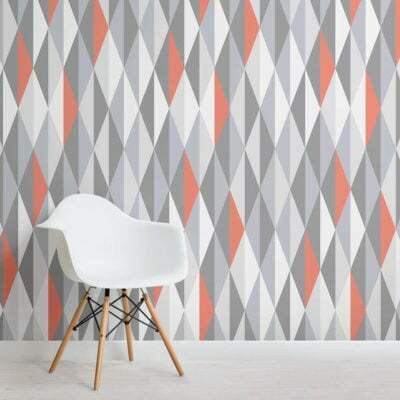 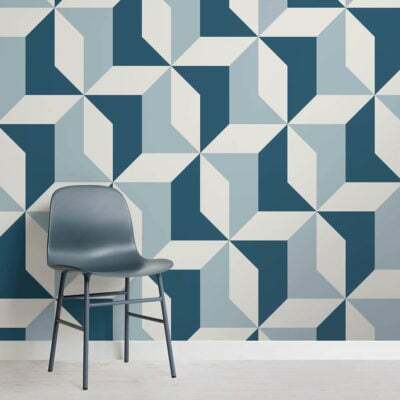 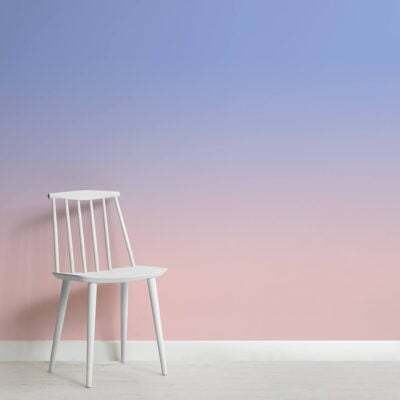 The pastel palette paired with the trendy tropical and geometric design makes for a modern, sunny wall mural to make your space really pop with fresh colour.